Integrated rack and pinion units are available in (11) ratios from 1-7/8” (slow) to 4-1/2” (fast). Sweet Mfg. 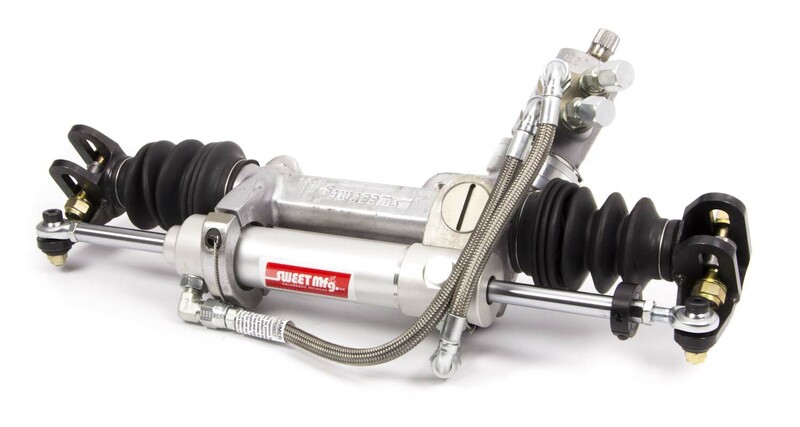 is the only rack and pinion maufacturer to offer a 1-3/8” dual power cylinder that will produce smooth steering on ultra fast high banked tracks like Winchester (IN), Bristol (TN), and Thompson (CT). 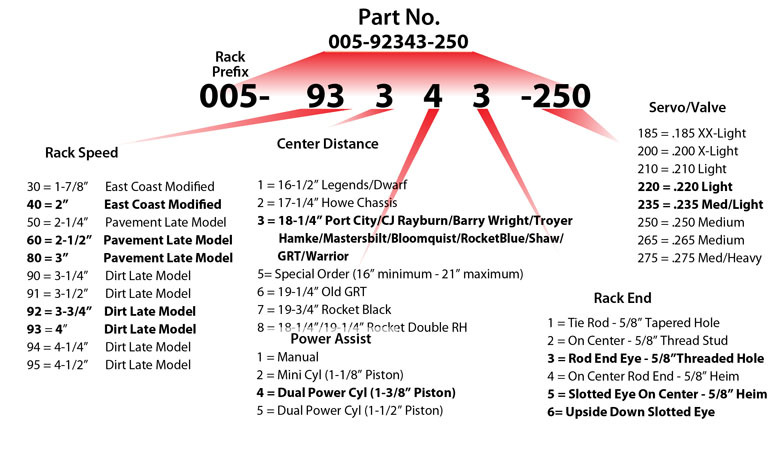 Rack speed is measured in inches per turn. If you turn the pinion (1) time the rack will move between 1-7/8” (slow) and 4-1/2”(fast). That number is stamped on the front of the housing next to the grease fitting . The balance tube allows air to pass between the boots. Servo selection is driver preference. A .185 servo will steer very “easy”, a .300 servo will steer extremely “hard”. Sweet Mfg. rack and pinion units are made in the USA with the finest available materials and each unit is hand assembled and tested for quality assurance.